Until recently, the making of a dental crown or bridge had always been an exercise in old-world craftsmanship. The final restoration was a combination of the doctor’s expertise and the craftsperson’s skill in making the crown or bridge. Today, advances in computer-controlled machining, or CNC, enable us to give our patients a more accurate fitting. CNC techniques were originally developed for the aerospace industry. The model of the prepared tooth is scanned by a laser, and this information is entered into a special computer that directs the CNC machine to precisely carve the crown. The process eliminates any human error, resulting in a precisely fitting crown or bridge. Now as the doctor, I don’t have to worry who the lab technician is, or whether they are having a bad day. With computer-controlled CNC technology, I know I will get a consistently high-quality crown every time. This technique allows me to offer all-ceramic crowns and bridges that not only fit exceptionally well, but they also have no metal base – meaning no more black lines at the gum line. Due to the immensely strong properties of this ceramic material, I don’t have to worry about cases where there’s not a lot of room for the patient’s bite. Cosmetically, they are fantastic! Read about Our Practice in the Asbury Park Press! Are Your Gums Affecting Your Overall Health? Located adjacent to Asbury Park. 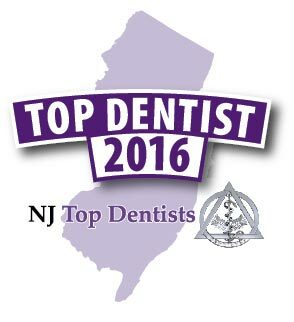 Dr. Nobile is an NJ Top Dentist! Dr. Nobile is an outstanding dentist, explaining everything in great detail. He has a great team and a wonderful ‘chair-side’ manner! I first went to Dr. Nobile out of necessity; I was a basket case of nerves. He quickly instilled calmness and confidence, taking the time to listen and explain a treatment plan. I never felt any discomfort in any of the procedures – and there were many. As someone with a dental problem, I give Dr. Nobile all the credit for keeping me from a mouthful of dentures. That’s why I travel from Freehold for his care, as does my wife. Our son travels from Yardville. You don’t lose a great dentist. 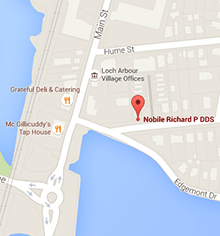 Dr. Nobile has treated my family regularly for 30 years, handling many emergencies promptly. His work is to perfection – and pain free! He’s the best. Dr. Nobile is the best dentist! I have been his patient for 31 years, and my husband – who was terrified to see a dentist – now happily sees Dr. Nobile. The office team is great too! Sign up to receive future email communications below. We respect your privacy and will not share your information.